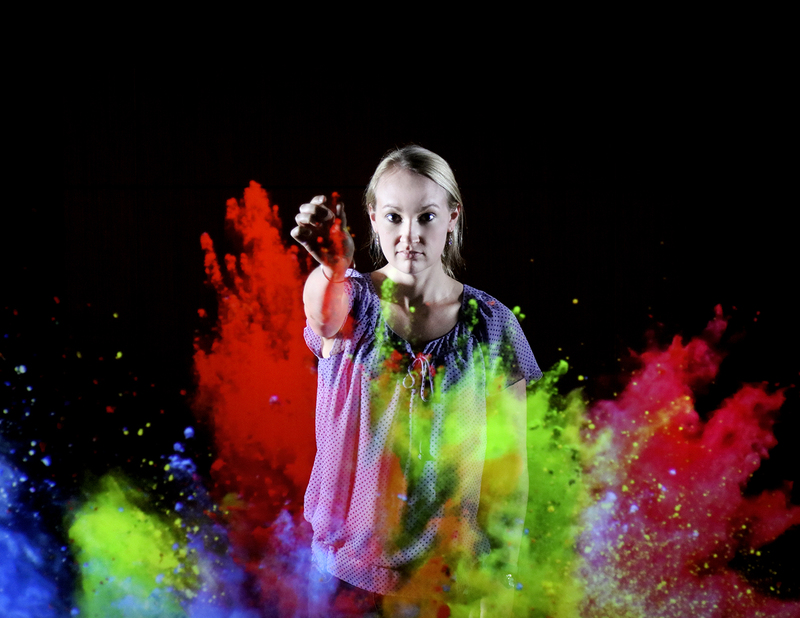 “Photons of Light” by Peyton Ticknor - In a photograph taken by ORNL photographer Jason Richards, Ticknor helps demonstrate immersive visualization capabilities by standing alongside a colorful simulation of quantum dots. “Majoranas on Honeycomb” by Jill Hemman - This visualization illustrates neutrons (blue line) scattering off a graphene-like honeycomb material, producing an excitation that behaves like a Majorana fermion—a mysterious particle that is also its own antiparticle (green wave). The visualization supports research by Arnab Banerjee, Mark Lumsden, Alan Tennant, Craig Bridges, Jiaqiang Yan, Matthew Stone, Barry Winn, Paula Kelley, Christian Balz, and Stephen Nagler. “Methylating Mercury” by Jerry Parks - Methylation is a process in which certain naturally occurring bacteria transform inorganic mercury into its more toxin cousin, methylmercury. This image, created by scistyle.com for the University of Tennessee–ORNL Center for Molecular Biophysics based on the center’s research, depicts bacteria that methylate mercury. In the foreground, droplets of mercury are illustrated. Astute viewers may identify a Knoxville, Tenn., landmark in the background. May 25, 2018 — The votes are in, and Oak Ridge National Laboratory’s (ORNL’s) Art of Science contest has three award winners: People’s Choice, Director’s Choice, and Director’s Choice honorable mention. The contest, held this spring for the first time, aims to share scientific discovery and knowledge with the public through visually compelling images. Art of Science received 90 submissions from staff across the laboratory, and the top 20 images were selected by a committee of judges consisting of research, leadership, and support staff members. Voting from the top 20 images for the People’s Choice award was open to the public on ORNL’s Facebook page in April. The Director’s Choice and honorable mention awards were selected by ORNL Director Thomas Zacharia, who recognized the winners at a meeting of senior staff. An exhibit of the winners and a collection of other Art of Science images will be open in the ORNL Conference Center on June 9 during Lab Day, the lab’s celebration of its 75-year history. The top 20 images are also published on ORNL’s Flickr. In a photograph taken by ORNL photographer Jason Richards, Ticknor helps demonstrate immersive visualization capabilities by standing alongside a colorful simulation of quantum dots. 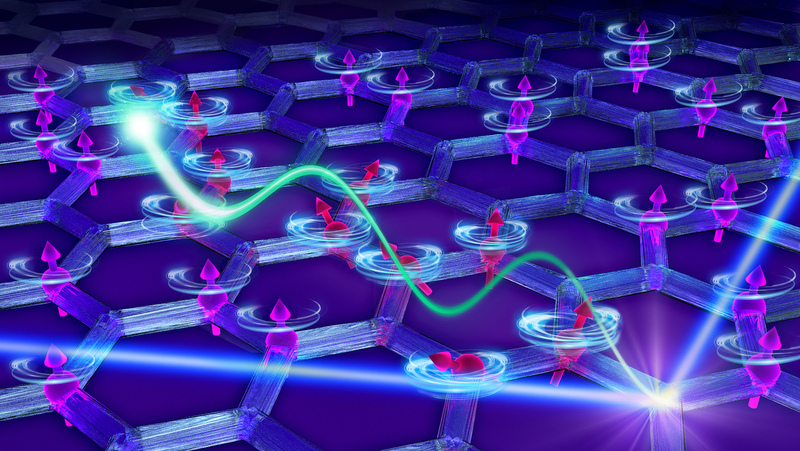 This visualization illustrates neutrons (blue line) scattering off a graphene-like honeycomb material, producing an excitation that behaves like a Majorana fermion—a mysterious particle that is also its own antiparticle (green wave). The visualization supports research by Arnab Banerjee, Mark Lumsden, Alan Tennant, Craig Bridges, Jiaqiang Yan, Matthew Stone, Barry Winn, Paula Kelley, Christian Balz, and Stephen Nagler. Methylation is a process in which certain naturally occurring bacteria transform inorganic mercury into its more toxin cousin, methylmercury. 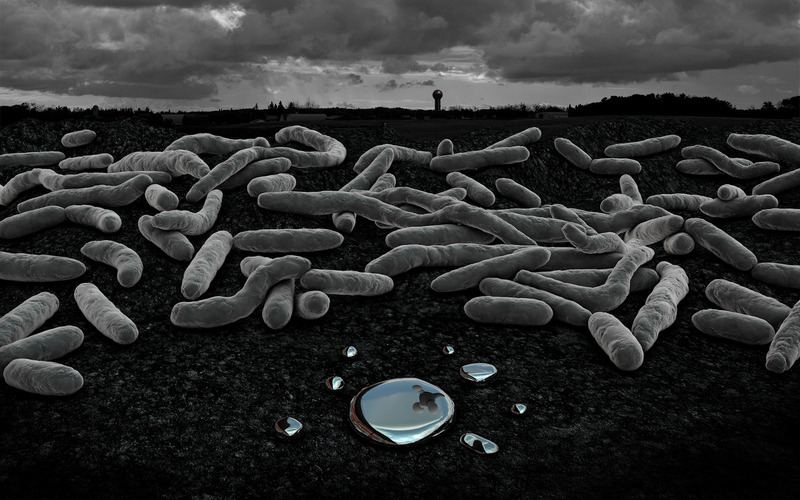 This image, created by scistyle.com for the University of Tennessee–ORNL Center for Molecular Biophysics based on the center’s research, depicts bacteria that methylate mercury. In the foreground, droplets of mercury are illustrated. Astute viewers may identify a Knoxville, Tenn., landmark in the background.